Nova Southeastern University welcomed Andre Dubus III as the first guest of the 2008-2009 Distinguished Speakers Series. Dubus spoke at Convocation, the annual ceremony that marks the beginning of the academic year. At Convocation, the student body and the faculty joined together in anticipation of academic excellence and shared intellectual pursuit. A reception followed at the Dr. William S. Spears Courtyard Atrium in the Carl DeSantis Building. 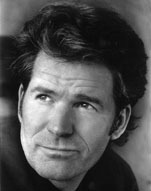 Andre Dubus III is the author of a collection of short fiction, The Cage Keeper and Other Stories, and the novels, Bluesman and House of Sand and Fog. His works have been included in The Best American Essays of 1994, The Best Spiritual Writing of 1999, and The Best of Hope Magazine. He has been awarded a Guggenheim Fellowship, The National Magazine Award for Fiction, The Pushcart Prize, and was a Finalist for the Prix de Rome Fellowship from the Academy of Arts and Letters. Now a major motion picture starring Ben Kingsley and Jennifer Connelly and published in twenty-five countries, his novel House of Sand and Fog was a fiction finalist for the National Book Award, the Los Angeles Times Book Prize, the L.L. Winship/PEN New England Award, and Booksense Book of the Year. It was also an Oprah Book Club Selection and #1 New York Times bestseller. Andre's new novel The Garden of Last Days was published in June 2008. A member of PEN American Center and the Executive Board of PEN New England, Andre Dubus has served as a panelist for the National Endowment for the Arts and has taught writing at Harvard University, Tufts University, the University of Massachusetts at Lowell, and Emerson College.